“The View From Flyover Country” will be published in paperback this spring! I’ve got some big news — my best-selling 2015 essay collection “The View From Flyover Country” will be released in an updated paperback version this spring! There has been intense reader demand for a print version of this book, and I’m happy to announce that this demand will be met thanks to Macmillan Publishers. My book is now available for preorder and will be released in April 2018. The updated collection includes new essays on the Trump administration and how to navigate changes in our political system, so I encourage those who enjoyed the earlier version to check the new version out as well. If you’re unfamiliar with “The View From Flyover Country”, it’s a collection of essays that I wrote between 2012 and 2014 which (unfortunately) documented the political social and economic conditions that led to Trump’s rise. Many people found it a useful read after the 2016 election, and it quickly became an international best-seller. A collection of penetrating essays about life in an America of dwindling opportunity—from the St. Louis–based journalist often credited with first predicting Donald Trump’s presidential victory. St. Louis–based writer and expert in authoritarian states, Sarah Kendzior, has been called “a political heavyweight” and “a Cassandra in Trumpland.” In 2015, she collected the essays she reported for Al Jazeera and published them as The View from Flyover Country, which became an ebook bestseller and garnered praise from readers around the world. 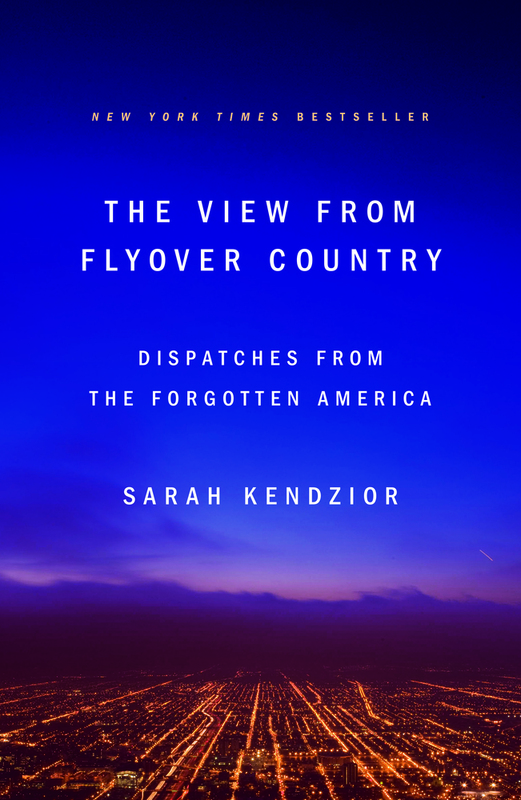 Now, The View from Flyover Country is being released in print with an updated introduction and epilogue that reflect on the ways that the Trump presidency was the certain result of the realities first captured in Kendzior’s essays. A clear-eyed account of the realities of life in America’s overlooked heartland, The View from Flyover Country is a piercing critique of the labor exploitation, racism, gentrification, media bias, and other aspects of the post-employment economy that gave rise to a president who rules like an autocrat. The View from Flyover Country is necessary reading for anyone who believes that the only way for America to fix its problems is to first discuss them with honesty and compassion. I’m very grateful to all my readers and hope you are as excited about this new version as I am! Thank you for all your support.